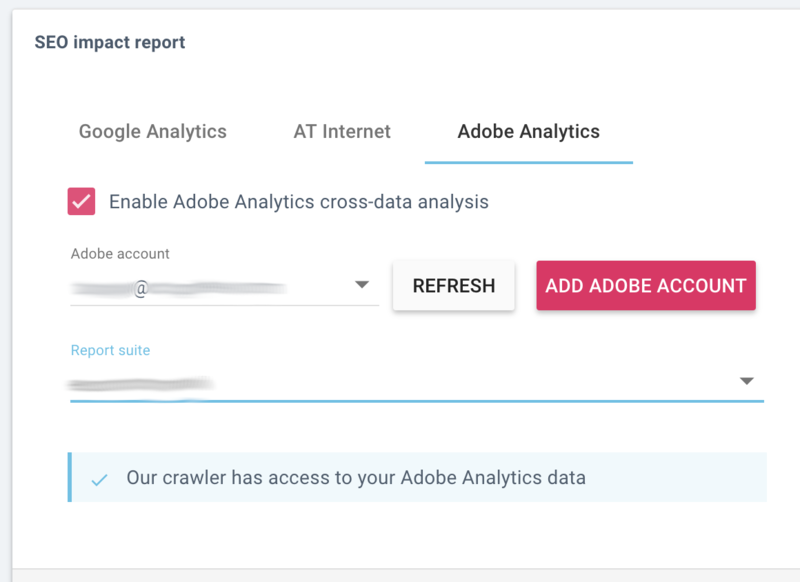 You can connect your Adobe Analytics account in OnCrawl. This allows you to add cross-analysis between crawl data and analytics data in the SEO Impact Report. This ties crawl data to real-word data on user behavior. Navigate to the "Adobe Analytics" tab and click "Add Adobe Account". This means that you must authorize pop-ups in the OnCrawl app in order to connect your Adobe Analytics account. Indicate that you agree to share your Adobe Analytics data with OnCrawl. 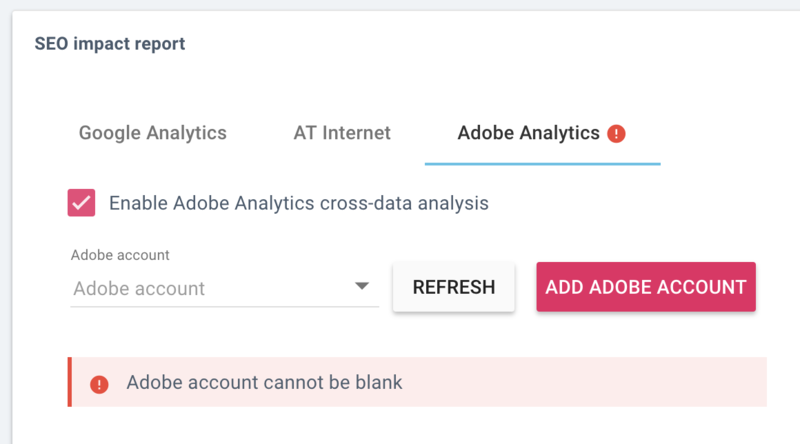 Switch to the "Adobe Analytics" tab and tick the "Enable Adobe Analytics cross-data analysis" box. If you have already linked to it using the method above, you can click on the "Adobe Analytics" field to view a drop-down list of the known Adobe Accounts. Select yours. If your account is not already listed in this menu, click the "Add Adobe Account" button. This opens a pop-up window that allows you to connect to your account outside of OnCrawl. 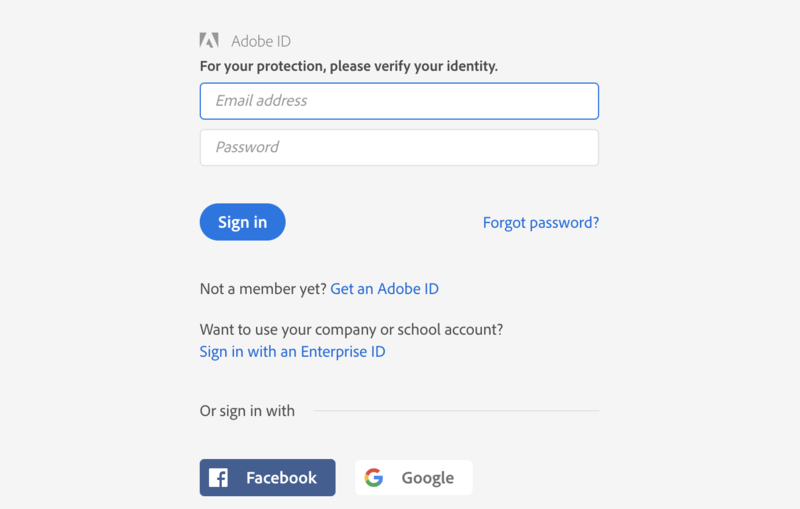 The only information we receive are the data your account shares with us after you've provided your login credentials.This means that you must authorize pop-ups in the OnCrawl app in order to connect your Adobe Analytics account. Indicate the analytics data to be used by selecting your Report Suite. This data is available by page and by search engine in Adobe Analytics and in OnCrawl.